The leading chiropractic group of Longview, Washington, Spine and Whiplash Center is dedicated to offering patients a customized chiropractic experience. Although they use a variety of adjusting techniques and instruments, Dr. Lewis and Dr. Coulombe utilize the Impulse® Adjusting Instrument as well as Diversified Technique. The Impulse Adjusting Instrument is much gentler than many traditional adjusting techniques. This low-force tool is better able to pinpoint specific injury sites and maintain the normal biomechanical motion of the spine as it begins the healing process. We find that manual adjustments are most effective when the healing process must be directed to produce an optimal outcome. A conventional manual approach to chiropractic care, Diversified Technique, is used when attempting to direct the healing process. Becoming more popular in the 1980s, it involves the manipulation of the spine and related tissues as a means to promote spinal health and proper communication of the central nervous system and the rest of the body. The ultimate goal of this technique is to maintain range of motion and reduce symptoms impacting daily life. Chiropractic care is well-known and deeply trusted by healthcare professionals around the world because of its natural, non-medicinal healing qualities. People of all ages and conditions can benefit from chiropractic adjustments, as treatment can be tailored to differing comfort and fragility. Whether patients are old, young, recreational athletes, or elite athletes, chiropractic has something for everybody. We understand that nerves are common for first-time chiropractic patients. 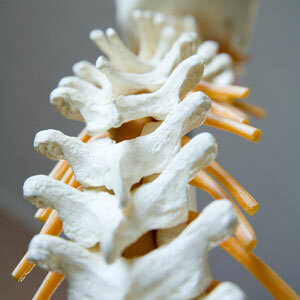 Spine and Whiplash Center is here to tell you that you are in skilled, safe hands. More often than not, we use a low-force, gentle instrument to administer adjustments, and demonstration and explanation are important to us. Our doctors are glad to deliver a step-by-step explanation of your treatment as well as demonstrations to put you at ease. Please do not hesitate to ask questions and express concerns throughout your time with us.